Unfortunately, only half our season extension crops made it to our final harvest on Nov. 25, 2014. The tatsoi, chard, and arugula did not survive the below average temperatures the Chicagoland experienced prior to our final harvest. Fortunately, the remaining crops—spinach, lettuce, and kale—were able to be harvested. 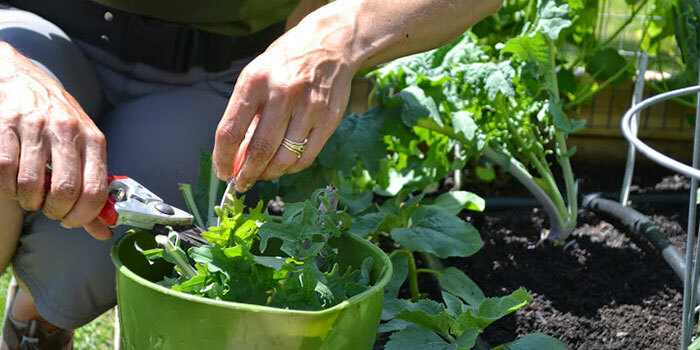 Jeanne Nolan harvested a handful of the crops using a serrated knife. She left the rest of the crops to continue to grow over the winter. Depending how cold the weather gets, the crops could live through the winter, and by spring, we could have a head start on the season. 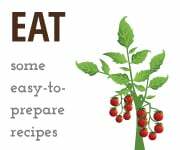 Beets can be harvested by hand or with the help of a trowel. 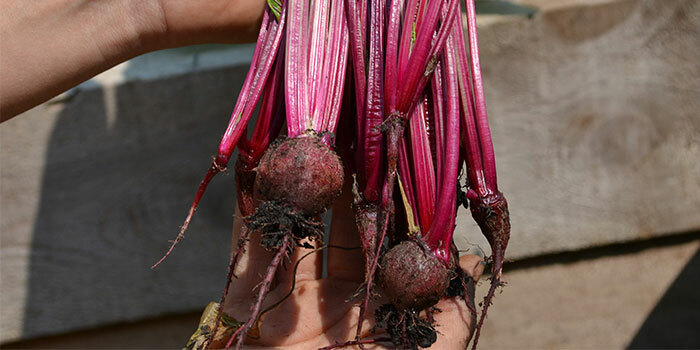 When we first harvested beets, we pulled them out of the ground. In November, when we harvested the remaining beets, we used a trowel because there was a frozen layer on top of the soil. Once the beets were removed from the soil, we had to use the trowel to scrape chunks of soil off of the beets. Jeanne Nolan recommends using a trowel when harvesting carrots. A trowel was necessary when we harvested our rainbow carrots in November because there was a frozen layer on top of the soil. Use the trowel to dig out the carrots. 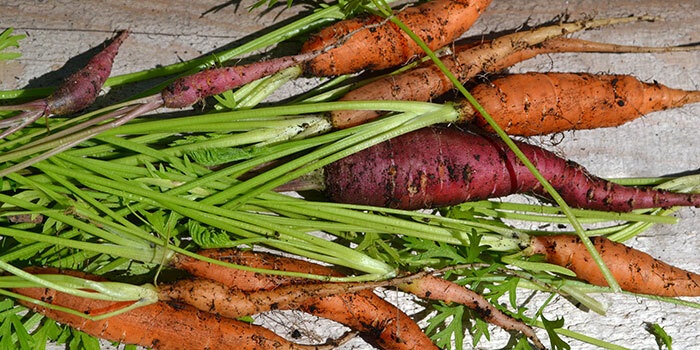 Once the carrots are removed from the soil, twist off the tops. 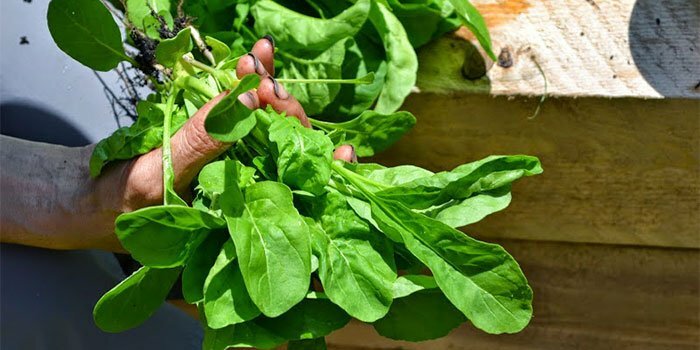 We began harvesting our arugula about three weeks after planting with the help of Jeanne Nolan, who said there are different ways to harvest arugula; we could've either used the "cut and come again" method in which you cut the leaves of the plant and allow it to continue to grow or remove the entire plan. Per Nolan's recommendation, we used the latter method and removed the largest plants that day. The following week we harvested the remaining arugula. We used pruners to harvest leaves from the three varieties of kale growing in our garden. Leaves were removed from the bottom of the plant because new growth comes from the center of the plant. When hydrocooling kale, place the leaves in the water, not the stems. Approximately three weeks after planting, we harvested about half of the radishes we planted. 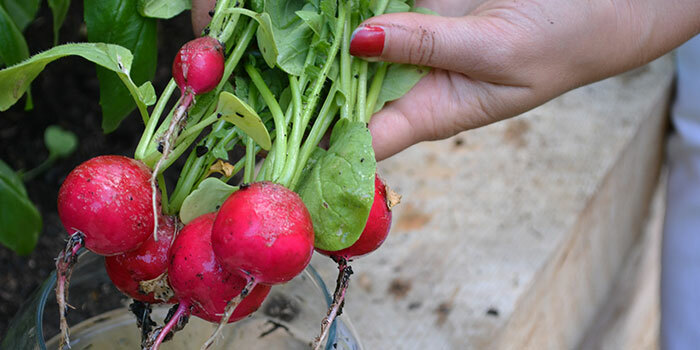 Harvesting was relatively simple; we just pulled out the radishes that were poking above the soil in our garden. A week later, the remaining radishes popped above the soil and were harvested. 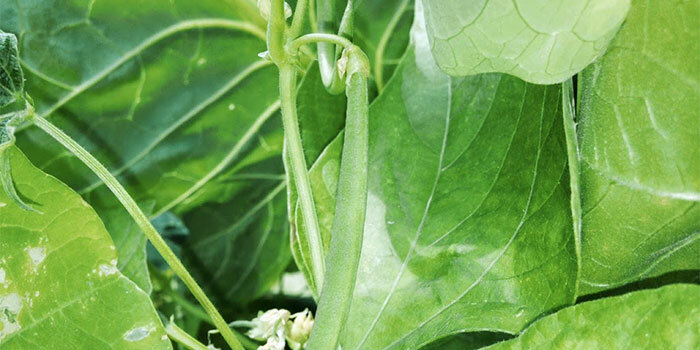 Begin harvesting haricot vert when beans are 3-4 inches in length. 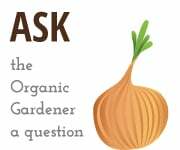 Jeanne Nolan recommends using two hands to harvest. Pick individual beans from the plant at the stems. Once beans reach the appropriate size for harvest, Nolan recommends harvesting the beans even if you don't plan on eating them. This allows the crop to continue producing. Edamame matures in 75-90 days. 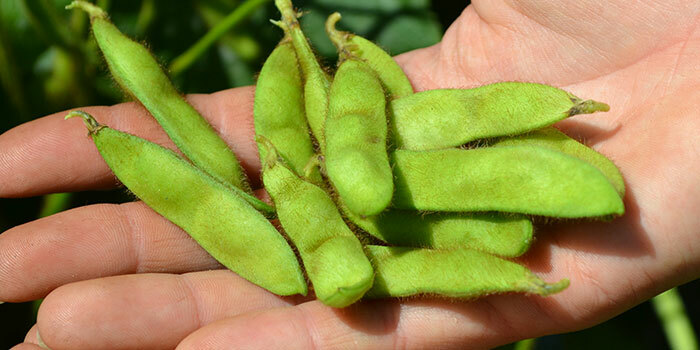 The first edamame pods we harvested were just shy of the 75-day mark. Once the pods are slightly plump, open one up and look inside. If the pod is bright green and tastes sweet, begin harvesting. Jeanne Nolan recommends using both hands to remove edamame pods from the plant, picking individual pods from the plant at the stems. 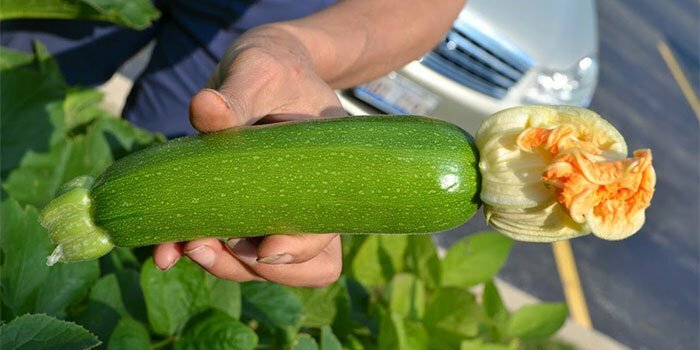 Begin harvesting zucchini when the plant reaches 4-8 inches long (if a zucchini becomes too big, it will become watery and seedy). You can harvest zucchini by using a gentle twisting motion to free the zucchini from the plant. 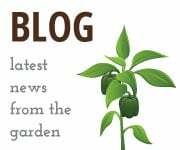 Jeanne Nolan advises people harvest by cutting zucchini with a serrated knife at its stem. In addition to the many vegetables we planted, we transplanted a couple of nasturtiums. 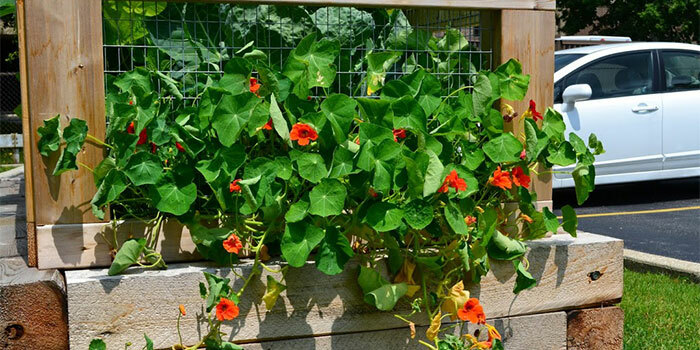 The leaves of this edible flower can be harvested at any time during the season. Flowers can be harvested when they are fully open, as well as the seeds, which are edible if harvested while green and still attached to the plant. While we could've harvested our Brussels sprouts earlier in the season, we opted to wait until closer to Thanksgiving. Brussels sprouts are ready to be harvested when they are slightly smaller than a golf ball. 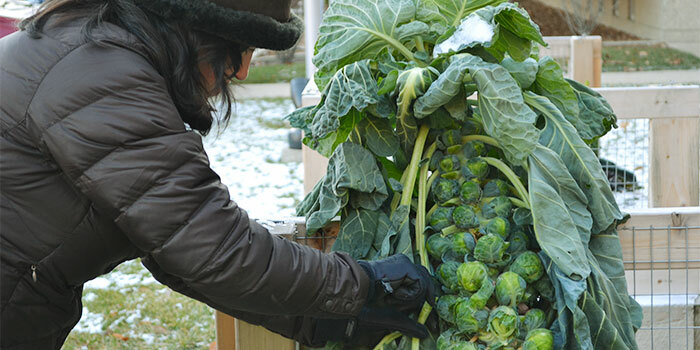 Brussels sprouts can be removed from the plant by popping them off of the stalk. 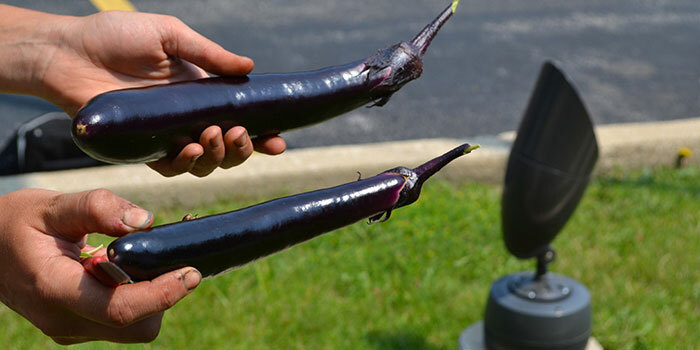 Japanese eggplants are ready to harvest 60-80 days after planting. To harvest the crop, use either a serrated knife or pruners to cut the stem of the eggplant from the plant. If the eggplent is touching the ground, harvest it as soon as it seems ready. Harvest basil as soon as it is able to spare some leaves. Cut leaves and branches where they intersect with the stalk. Jeanne Nolan recommends harvesting from the top of the plant to prevent it from becoming "leggy." At any sign of flowering, pinch off the flower so the plant spends its energy on leaves. Harvest sweet bell peppers once they reach the correct color. 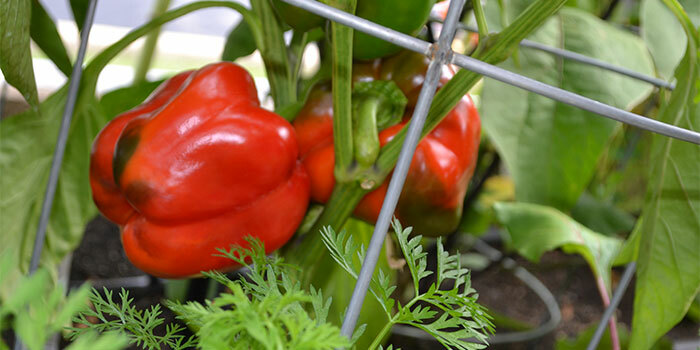 For our plants, we had to wait until September to harvest red bell peppers. 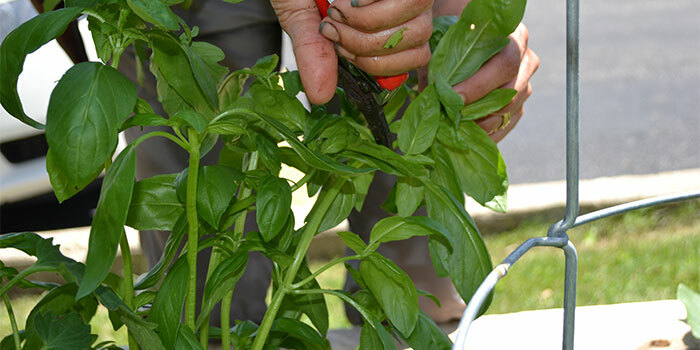 Cut the stem of the plant with a serrated knife or pruner to harvest. Harvest jalapeños when the peppers are dark green in color. If you want to harvest red jalapeño peppers, the color change will take until September or October. Mature peppers are approximately 3 inches in length. 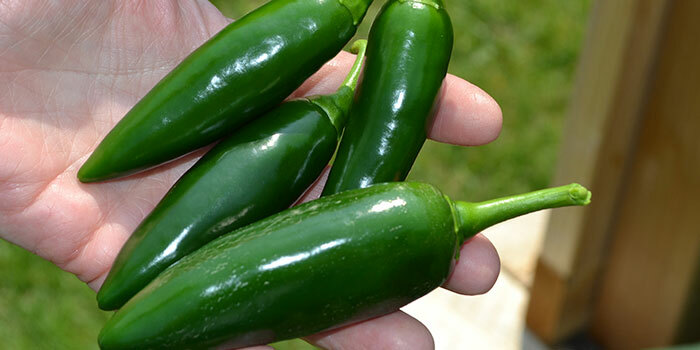 To harvest, cut the stem of the jalapeño pepper from the plant. 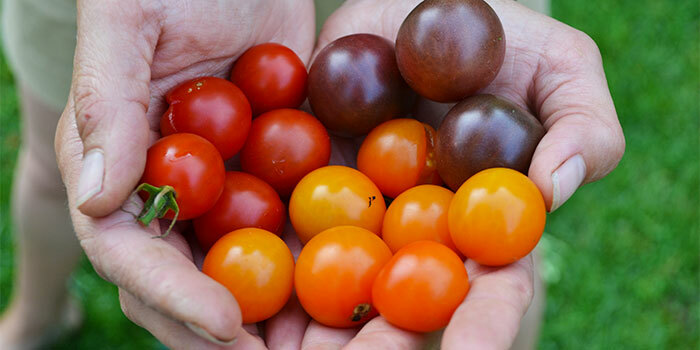 For harvesting tomatoes, use color and touch as your guide. Once a tomato reaches the correct color for its variety (tomato changes from green to red or orange-yellow, for red cherry and sungold tomatoes respectively), gently press into the skin of the tomato. If the tomato feels somewhat soft, twist tomato from the vine.